For part B additional problems may be found on page 245 #17-22. Module 5 Part C is covered in Section 8.7 of the textbook, pages 235-236, calculating the Percent Composition of a Compound. Example 8.12 on page 236 demonstrates the process with a four element compound. You will calculate the Percent Composition of one compound on M-5 Exam. 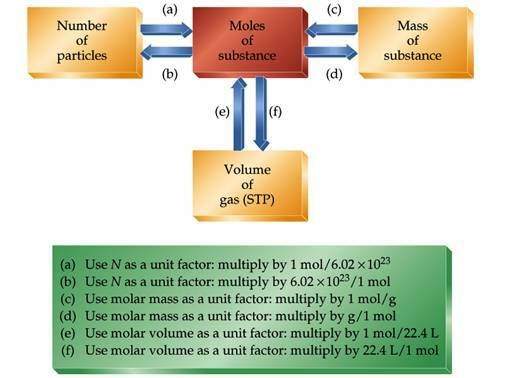 Module 5 Part D is a calculation of the Empirical and Molecular Formula from both the Lab Data and the Percent Composition which is described on pages 237-239. Example 8.13, pages 237-238, demonstrates the process for calculation of empirical formula from lab data. 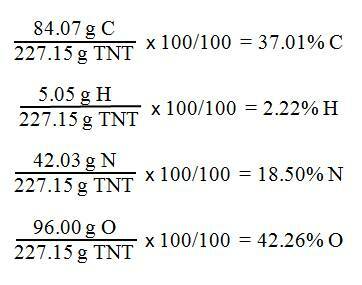 Example 8.14 page 239 demonstrates this process for the calculation from Percent Composition. For Section 8.9 pages 239-240 You must know from this section what the difference is between an Empirical Formula and a true Molecular Formula of a compound and this will be tested in the Multiple choice section. Section 11.10 is Hydrates. This section introduces the concept hydrates and Anhydrates which we may do as one of our M-5 crucible labs. Most crystalline salts come as hydrates, meaning water molecules are part of the crystalline structure. You should be able to interpret a hydrate formula where the dot between the two compounds reads "in combination with". CuSO4 ∙ 5 H2O reads one formula unit of CuSO4 in combination with 5 molecules of water. Example 11.8 page 332 is a sample problem of interpreting the formula of a hydrate from lab data. There are empirical formula problems at the end of the chapter to practice your empirical formula calculation of a compound: pages 246 problems #47-56.